The regional centre, which offers treatment to more than 2,000 cancer patients annually, is set to have a new building and modern equipment, he said. 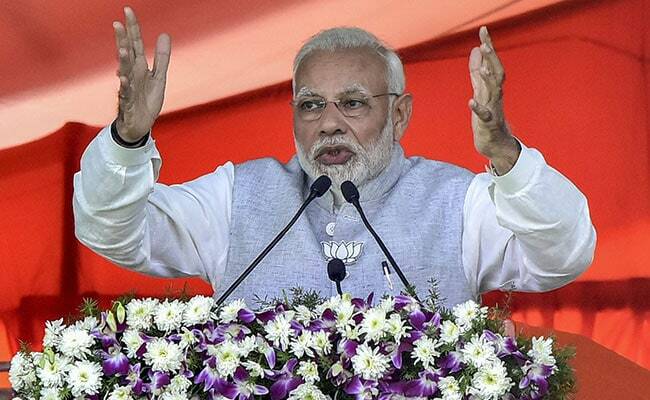 Prime Minister Narendra Modi is scheduled to visit Tripura in February to inaugurate several development projects, including an upgraded cancer centre, a government official said. According to government reports, 3,786 patients succumbed to cancer between 2013 and 2016 in the state. Sanjoy Mishra, the media adviser to chief minister Biplab Kumar Deb, said a high-level meeting was convened Monday to review progress in the cancer hospital project. "The Prime Minister is scheduled to visit Tripura in February to inaugurate several developmental projects. The newly built building at the cancer centre is one of them. Chief Minister Biplab Kumar Deb on Monday reviewed the progress of the construction work at the centre," Mr Mishra said. Chief Secretary LK Gupta, Public Works Department (PWD) secretary Manoj Kumar and Health and Family Welfare secretary Samarjit Bhowmik were among those who attended Monday's meeting, he said. "The CM would be visiting New Delhi tomorrow (Wednesday) and meet the prime minister to discuss various issues, including the inauguration of the cancer hospital building," Mr Mishra told reporters. Acoording to Global Adult Tobacco Survey (2016-17), 40 per cent of all cancer patients in the northeast suffer from head and neck malignancy, mainly caused by tobacco consumption. Tripura tops in tobacco use in the region with 64.5 per cent patients in the state admitting to nicotine consumption, the report added.